Prime Creative worked on the non-digital marketing for this established health club and fitness centre. Work included P.O.S, building signage, computer generated illustrations to enable the club to sell membership off plan for their amazing new premises in the beautiful Maltings in Halifax. The work to date from Pickles Architects in Brighouse and Prime Creative has helped make Hi Energyâ€™s expansion to new premises a smooth ride. The new centre for lifelong learning at The Maltings, Halifax will also offer childcare and further education in conjunction with local schools. 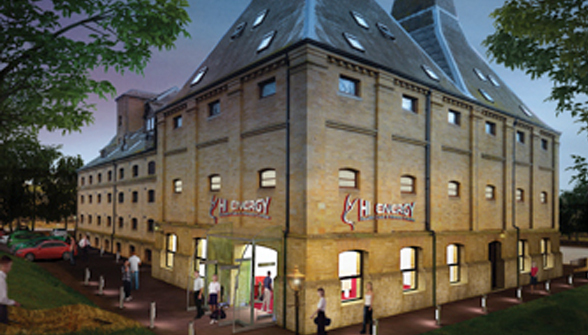 Hi Energy will provide a state of the art fitness studio with a variety of classes including spinning and aerobics. The dance studio provides classes for people of all ages and abilities in many different styles from street to ballet. The centre has some great opening membership offers with some deals providing full membership from as little as Â£25 per month (first come first served). The fitness centre wishes to target people with all levels of fitness and wants to make gym membership an integral part of peoples lives and not a luxury for a few – staying fit and being educated about food, health issues and remaining active as people get older are just a few items on the agenda at Hi Energy.